Write a program that outputs some printable ASCII characters. The trick is that if the program is reversed byte-by-byte, it must output the same thing in the reverse order, byte-by-byte, too. The output is at least 2 bytes long. 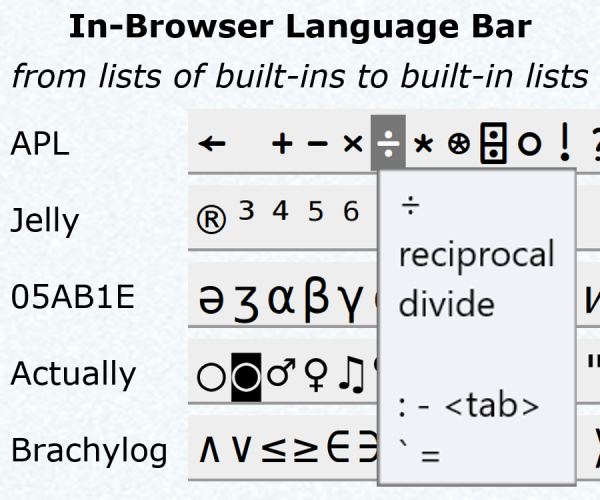 It must contain solely printable ASCII characters, including visible characters and newlines, tabs and spaces. It should not be empty. Outputs to standard error is ignored. Make a note in your answer if your program uses this "Easy Mode". These are theoretical examples and may not exist in any programming language. This is a code-golf, so the program with the shortest source code (in bytes) in each language wins! Forwards, produces ZYXWVUTSRQPONMLKJIHGFEDCBA, backwards, produces ABCDEFGHIJKLMNOPQRSTUVWXYZ. A pushes the alphabet, and i reverses it, although if i doesn't have anything to reverse, it conveniently does nothing. The ) seems to discard everything before it. This is sqrt(25) which is 5.0 and the reverse is . which is 0.5. It needs to pad the front with a newline because Brain-Flak's output automatically gets a newline added to the end of the output. Both full programs output the palindromic nan as they both attempt to take a modulo of zero by zero and implicitly print the result. 1 extra byte because of the flag -A to print ascii. This prints "\n\n"
-6 bytes thanks to Riley pointing out that I can cleverly use newlines in order to not duplicate as much code for the reversed program. This works because the pound sign only starts a single line comment. Anonymous VBE immediate window function that takes no input and outputs 12 to the VBE immediate window. Anonymous VBE immediate window function that takes no input and outputs 21 to the the range [A1] on the ActiveSheet Object. Outputs Jj and jJ when reversed. Inspired by i cri everytim's answer. Does, however, not require 'easy mode'. The program's outputs now are true reverses of one another, not ignoring the new line character. Thanks to @Jonathan Allan for pointing it out. Try it online! Prints 12. Try it online! Prints 21. Only the last statement is printed, and C is the constant for 12. This is 1 + 100 which is 101. The reverse is just 100 + 1 which is also 101. Replacing + with _ works too. The first is max(11, 0). The reverse is just max(0, 11). The argument is 0 by default if not present. print'\n' prints both the single newline it instructs and an implicit newline after. print'\n'; does exactly the same - the ; is just there to stop the program being a palindrome. The # marks the start of a comment. The - is simply a string literal that implicitly prints itself. The ¹ is a numeric literal, and the default is to implicitly print one - too. Any ASCII character and non-zero Unicode superscript would work. Forwards, this prints two -s, then moves the cursor back one step (but this does not affect the output). Backwards, this prints two -s leftwards, but the output remains the same. Any subscript from 2 to 9 would work here, as would a right arrow or the reflect operator ‖. Try it online! or Try it reversed! Both output 11. B is the Japt constant for 11 and the w method, when applied to a number, returns the larger of that number and any number passed to it as an argument. Try it here. Prints OK. Try it here. Prints KO. Outputs 12. Reversed, outputs 21. This will work in many BASIC dialects. Prints "12" forwards, and "21" backwards. Saved two bytes thanks to 12Me21; using a tab instead of a new line. The program's ouput are two spaces new lines tabs. It is nearly a palindrome, apart from the trailing or leading cell shift (>). The IP starts travelling southeast from the topmost character, so in both triangles %%% is interpreted. Outputs ab and ba, respectively. Prints hi. Exploits comments. Try it online! rk ignores everything before rk:start and rk:end. Of course, it ignores everything in the middle it doesn't understand anyway. Try it online! vs Try it reversed! Prints 09. Try it online! or Try it reversed! The top (0-indexed) face is initialized to 0 and the left (1-indexed) face is initialized to 9. So printing (%) 0 prints 0 and printing 1 prints 9. No longer works in Cubically 2.2 as % can be called implicitly. Same as the winning RProgN 2 answer. Try it online! You can use a tool in this language to print the reverse of your code. Not the answer you're looking for? Browse other questions tagged code-golf restricted-source source-layout or ask your own question.